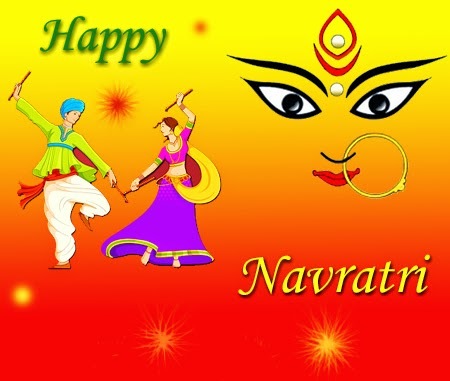 Navratri Festival is celebrated by Hindus with great devotion for 10 days. Goddess Durga is worshipped during Navratri.The festival is celebrated all over India in different ways. The most renowned Navaratri celebrations can be seen in western India, throughout the state of Gujarat and in Mumbai. In West Bengal, Navaratri and Dussehra are celebrated as Durga Puja. Navaratri is celebrated with nine nights of dancing. The traditional dances of Gujurat, known as garba and dandiya raas, are performed in circles with dancers dressed up in colorful clothes. Navratri is the time for both festivities and fasting. People observe fast during Navratri. Different fasting and special dishes are made during this period. Happy Navaratri.....to you all Sudha Rawal..